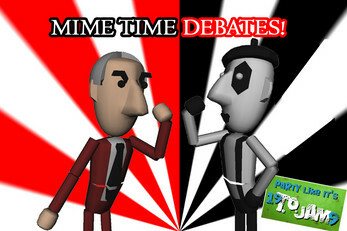 The 2008 Presidential Dance debates are among us! The evil Mr. Red is looking go gain control of the United Lands with his sweet dance moves, and it's up to you, the world's greatest mime, to use his own moves against him! Follow the beat and get elected!